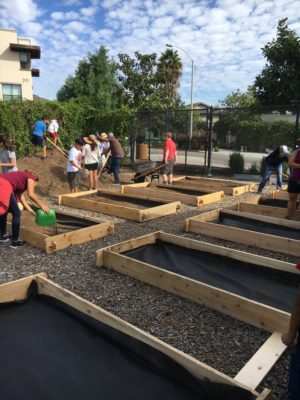 Four North County schools have planted new gardens through a program that aims to help California students learn to grow and eat fresh food. Healthy Planet, a San Francisco-based nonprofit, has sowed the seeds of school gardening at 39 sites around the state, including about 20 in San Diego County. 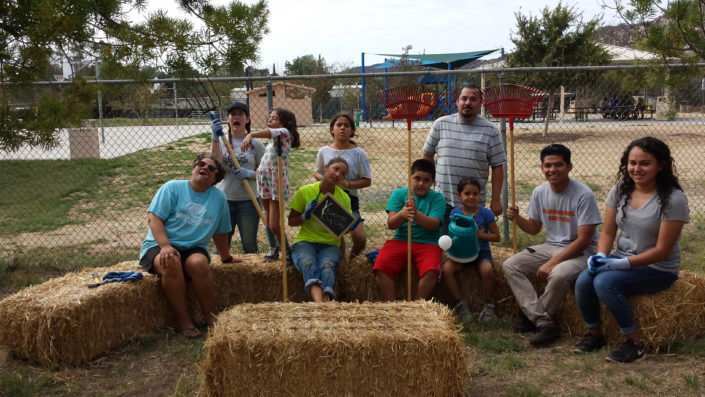 Over the past month Twin Oaks Elementary and San Marcos Elementary School in San Marcos, and Vallecitos Elementary School in Rainbow, planted gardens on campus. Temple Heights Elementary School in Oceanside is scheduled to dig its garden in the next few weeks, said Bryan Jersky, CEO and chief grower for Healthy Planet. Each school installed raised beds where they will cultivate fruits, herbs and vegetables such as lettuce, potatoes, kale, spinach, basil, oregano, rosemary, carrots and strawberries, Jersky said. The students help tend the gardens, while learning about nutrition, agriculture, ecology, composting and water management. Students will also participate in projects that help them understand those concepts, Jersky said. For instance, students can create miniature compost bins out of soda bottles, fill them with items ranging from apple shavings to plastic pieces, and test the differing rates at which they decompose. A garden and corresponding school program costs about $4,000 to start up. Healthy Planet pays for that according to a sliding scale based on the number of students on free and reduced lunch programs, Jersky said. Schools contribute the balance, but must chip in at least 25 percent of the cost, in order to establish their commitment to the garden program. A huge thanks to our partners: Eartheasy, Grangettos Farm & Garden Supply, Hawthorn Feed Store, San Pasqual Valley Soils, DIG Corporation, Lowe’s, Woolly Pocket, Tarter Farm & Ranch Equipment, and WTT Transportation. Well this is a really good job! Plant seeds of fresh and nutritious fruits and vegetables. Fruits and vegetables from your own garden are higher in nutrients. Growing your own fruits and vegetables can offer you the opportunity to reduce the amount of pesticides that you use in your garden, making them healthier.